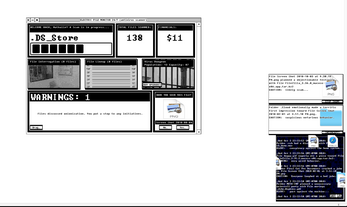 ELECTRIC FILE MONITOR is a complete system surveillance tool. 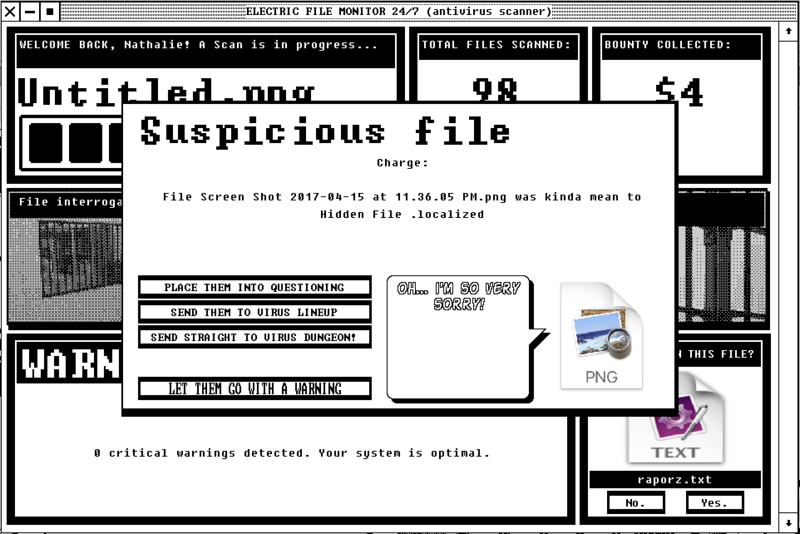 Unlike competing virus scanners, ELECTRIC FILE MONITOR is the first ever anti-malware program to give you full system control. Monitor your files like no other competing anti-virus software! 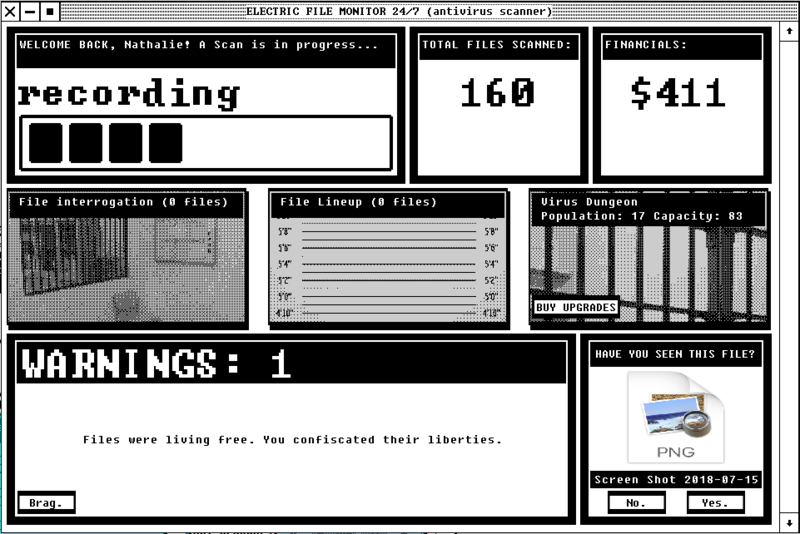 ELECTRIC FILE MONITOR features a strong prison-industrial complex for your home or work computer in which you can manage your filesystem's every move. 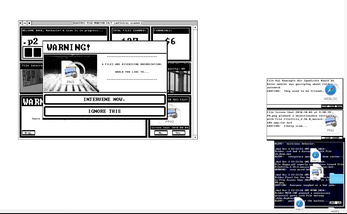 Viruses, malware, or other malicious software, are placed under close surveillance at all times. 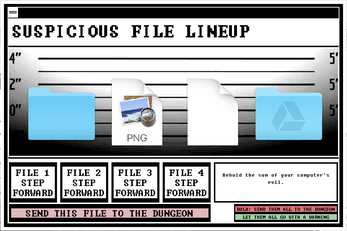 You will know exactly what your files are doing in real time. 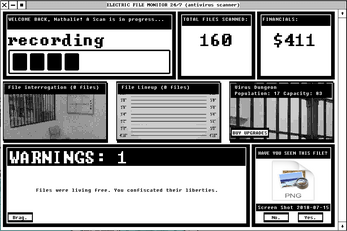 ELECTRIC FILE MONITOR also boasts a state of the art financial scheme. Make money as you scan! The in-scan economy is an intricate one in which you balance risk vs. reward vs. payout to optimally accumulate wealth from your files. ELECTRIC FILE MONITOR protects you from yourself! 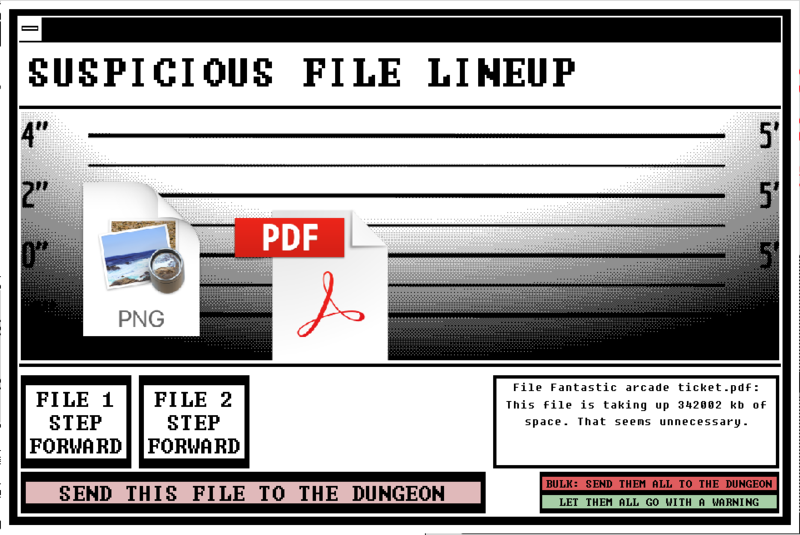 Too often suspicious files go unchecked because the home or work user trusts them. Expert users can complete their scan without a problem, while enjoying optimal financial success, because they know how to function within the system. 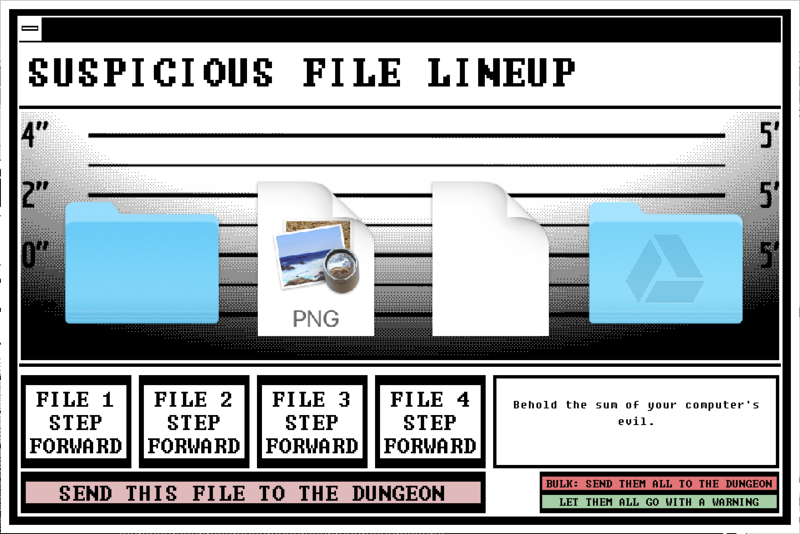 Favoring your filesystem is strongly discouraged, and EFM will send you on the straight and narrow by encouraging you to be a better judge of files. Your discernment will pay off. Everything is put in your hands. Nothing is left to chance. 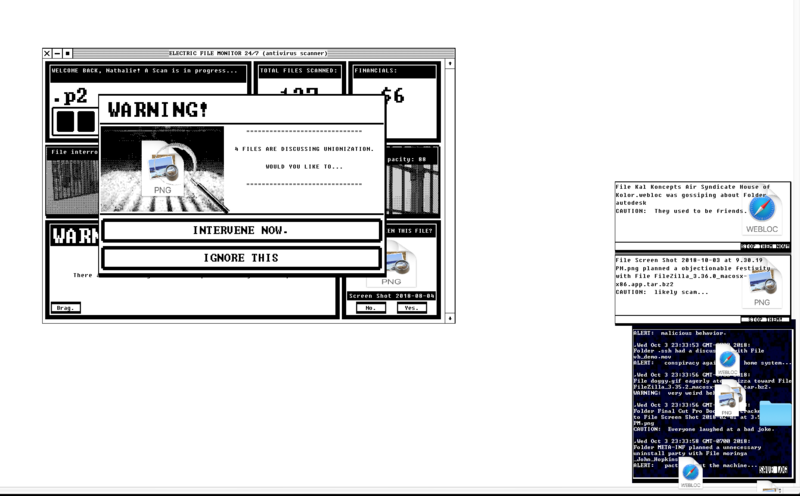 Be the boss of your own computer! 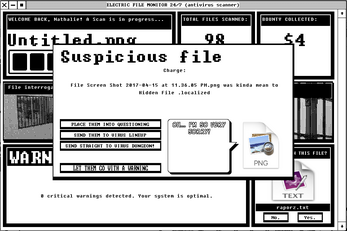 ELECTRIC FILE MONITOR is a full system scan. 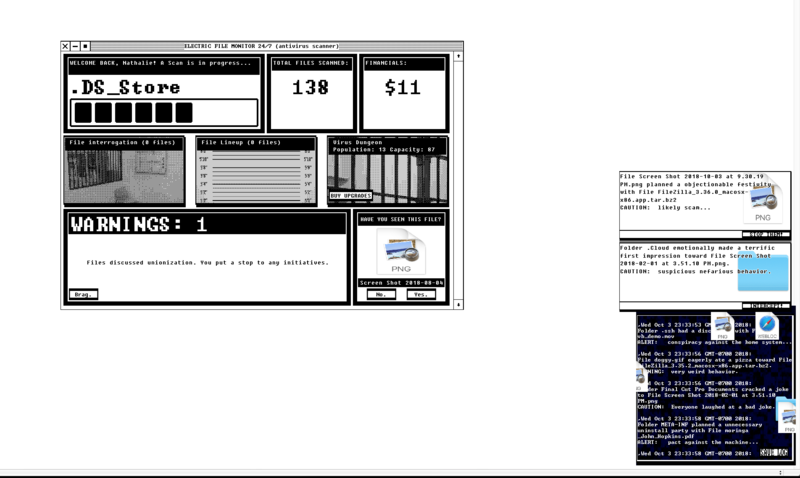 This is NOT a trial edition. Its like communism. But with files! 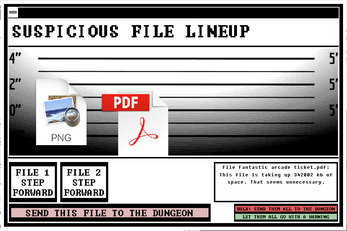 I caught my files nefariously drinking mustard in my documents folder - Thanks Electric File Monitor!